Are your kids always looking for something they have misplaced? Are you tired of hearing that phrase, “Mom, I can’t find it!”? It turns out that their ability to misplace things easily may not actually be their fault, but more the fact that their space is not designed for organization. Toys, shoes, things needed for school, etc. all get buried because there is nowhere for it to go. 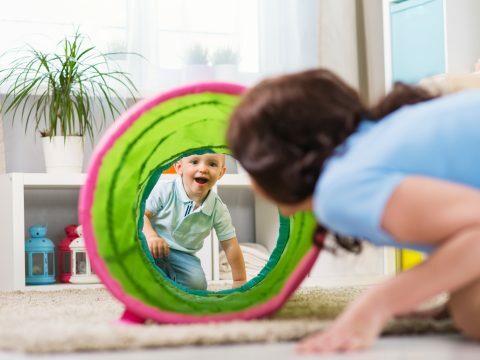 Many parents are too quick to dismiss it as being lazy, but truthfully, if a child’s room were designed correctly, they would be more susceptible to putting things in their designated place. Of course, the biggest advantage to having a closet organizational system in your children room is the reduction of mess. Spaces that are typically cluttered and messy feel chaotic to both you and your children. When everything has its own place, there is no excuse to leave it out, also making the room a safer place for your family. There are obvious benefits for the parents too because you don’t want to risk tripping over that extra loud toy in the middle of the night or worse…a Lego! When parents choose the right custom closet organization solution, they leave more room for playing and activity that translates to less-stress for both children and parents. It is proven that a disorderly bedroom just brings unsettling negative feelings. Rooms that are organized feel more relaxing while giving parents the opportunity to teach children how to be organized, a lifelong skill that is beneficial for home and work life, even from a young age. Studies show that teaching your children organizational skills will give them a sense of pride about their space and for their things. It also doesn’t have to be a chore when everything has their own space. It is simple to put things back in a designated spot instead of try to find space for everything, which then turns cleaning up into a chore. Instead, room cleaning can be a bit more fun and a lot faster. When it comes to kids closet organization, the best design will be down to your child’s individual needs, but here are some elements to include in your design that may help. Start by considering things from their point of view. Utilizing the entire closet space might seem ideal but remember your child can only reach so far. Make sure essentials are placed at their height. Things like clothes they have yet to grow into can go onto a shelf at the very top, as you know it isn’t anything they will need right now. You don’t want to take away from the original function of the closet, and that is to store clothes. Use part of your closet for clothes and save space for drawers for other things. Ask your contractor for clothing rods that can be adjusted as your child grows, so they can reach their own clothes. Several drawers are encouraged for different items that don’t need to be hung up like socks, underwear, and pajamas. Have two kids sharing a room? Then consider putting drawers up in the middle of the closet to leave to separate spaces for clothes to hang up. Don’t forget a spot for dirty clothes! If a hamper is not easily accessible, you are making it easier to take off clothes and leave them on the floor instead in the proper receptacle. A built-in hamper placed near the closet hides the piles of dirty clothes away until you’re ready to take wash them. It isn’t just clothes that need to be organized and put away. In fact that seems to be the least of parent’s worries as toys often dominate the room. Consider having cubbies or drawers that are labeled to make things easier to find. Legos can be in one drawer along with dolls and accessories in another while puzzles are kept on a specific shelf or station. Pro Tip: Having a picture of each item on the drawer or cubby will help kids better identify what goes where. There is nothing worse than trying to rush out the door and only able to find one shoe. A built-in shoe rack is a must and can give a space where shoes should be kept, hopefully eliminating the lost shoe problem! Bookshelves are wonderful ways to keep a book collection that can be seen and accessed easily, but children’s bookshelves can be bulky, taking up a lot of space that can be troublesome if the room is already small. They can also be unsafe. Having a bookshelf in a custom-built closet is a safe alternative to keeping books. Is your child a gamer? Then, you may have experienced finding video game CDs and their boxes spread out all over the TV area, with many games not in their right boxes. Having a video game storage area will encourage your child to put a game away before taking out a new one, keeping the right games in the right boxes and in one spot too. Often, overlooked for a kids room, filing drawers are essential for kids in school to be able to keep track of their work. It can be easy to lose paperwork, but keeping it all in one place will allow them to access it easily. This is especially helpful for studying purposes, keeping papers together by subject without being scattered everywhere. A clean desk area will make for better concentration. 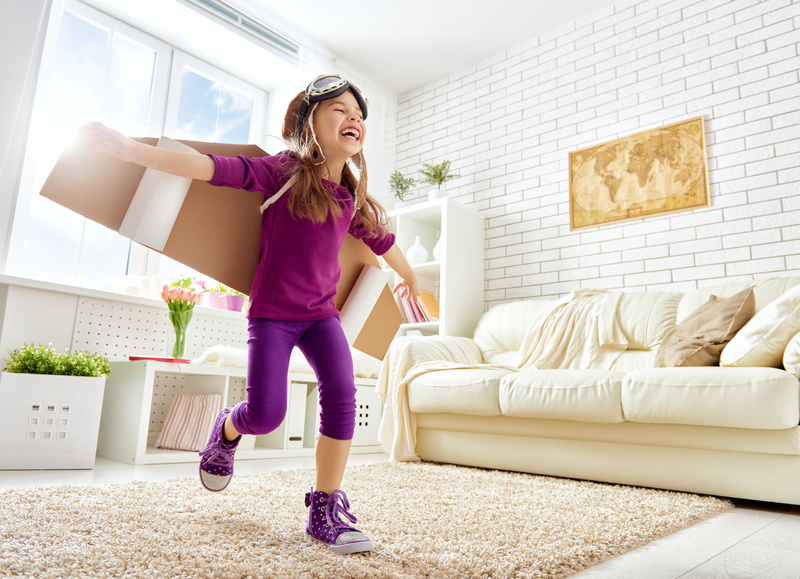 Now’s the time to stop making excuses for your kids and give them the tools they need to be able to learn how to be organized, become independent, and make their room their own. If you want to make things easier for oh you and your children when it comes to putting things away and staying tidy, then we can help you devise a custom closet organization solution that fits around your child and will be useful for them as they grow as well.